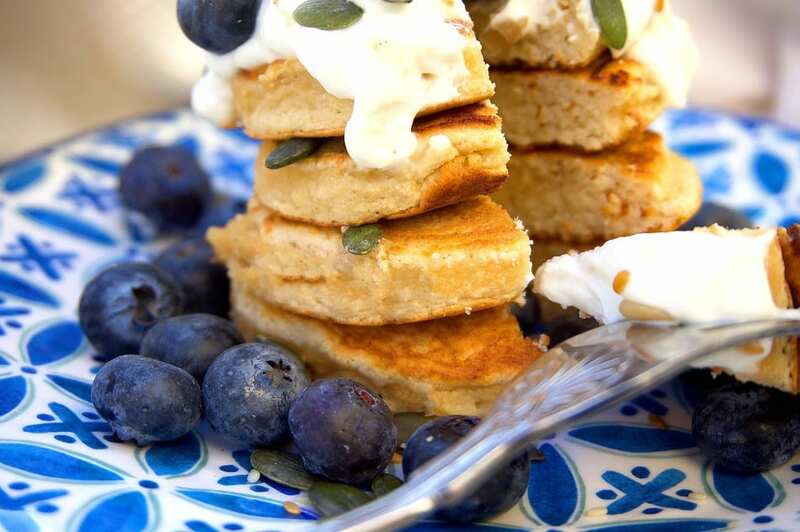 These coconut and maca primal pancakes have increasingly become a new favourite in the Bennett household. 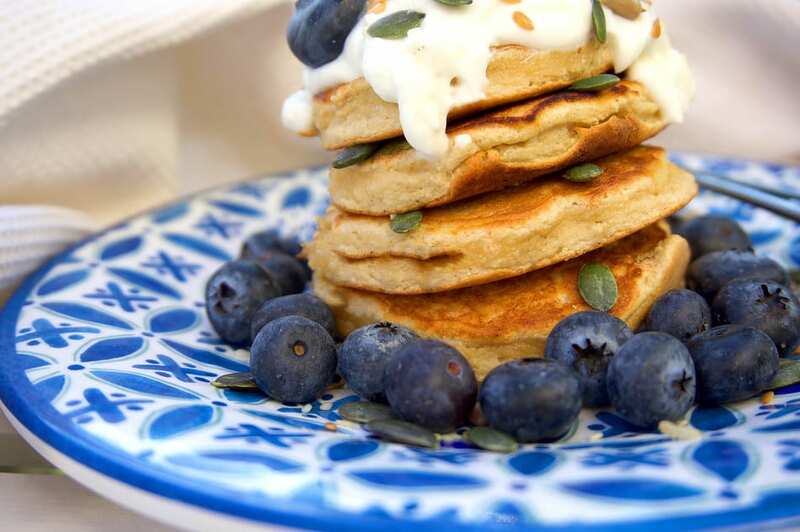 Despite being grain free, they’re still incredibly fluffy and light – just like your usual American pancakes but minus the unhealthy fat, grease, and CARBS! To make these primal friendly pancakes I’ve used a gift from the heavens (or a very tall tree), coconut flour. If it wasn’t for the holy coconut, making bread without grain flour would be kind of difficult. Derived from the dried flesh of the coconut, this is a flour that’s packed full of fibre, protein and healthy fats. It’s free of both gluten and grain which makes it easy for us to avoid to avoid the big bad CARB. You can use coconut flour to make various recipes such as, spreads, cakes, muffins, cookies, in fact, the list is endless for desserts really! It’s important to note though that baking with coconut flour can be quite tricky at times because the flour itself is very absorbent so be sure to include a lot of liquid, such as milk and eggs in your recipe so it doesn’t come out too dry! Now if you’re a little dubious about the use of coconut due to the negative press it’s been receiving lately then let’s start by clearing that up! Firstly, the media are simply regenerating old news based on research that suggests fat content leads to high cholesterol and heart disease. It doesn’t. All these reporters are doing is simply linking saturated fats to heart diseases, which as we know from the book, Primal Cure, there has never been any proven link, especially for totally organic saturated fats. The only warning I would give you about coconuts is that you should be careful when walking under these hanging fruits, as apparently 150 people each year die around the world from being hit on the hit! I think we’ll be ok here in the UK, though. What you should be focusing on though is how good coconuts are for you! They contain vitamins B1, B3, B5, B6, C, and E, and come jam-packed of healthy minerals such as calcium, selenium, sodium, magnesium and phosphorous. What’s more, they are full of fiber, which today is sadly insufficient in most people’s diets across both the UK and the USA. As for the maca powder used in this recipe, it’s actually another glorious superfood that I’ve come across recently! Maca powder is a Peruvian root crop and belongs to the radish family. It’s grown in the mountains of Peru and is also known as ‘Peruvian ginseng’. It’s most commonly available in powder form and has some amazing health benefits such as being rich in vitamins, minerals, enzymes, amino acids (20 different kinds), and antioxidants. Glucosinates are just one of those antioxidants — the same substances that make broccoli, cabbage, and other cruciferous vegetables that are extremely good for you, too. 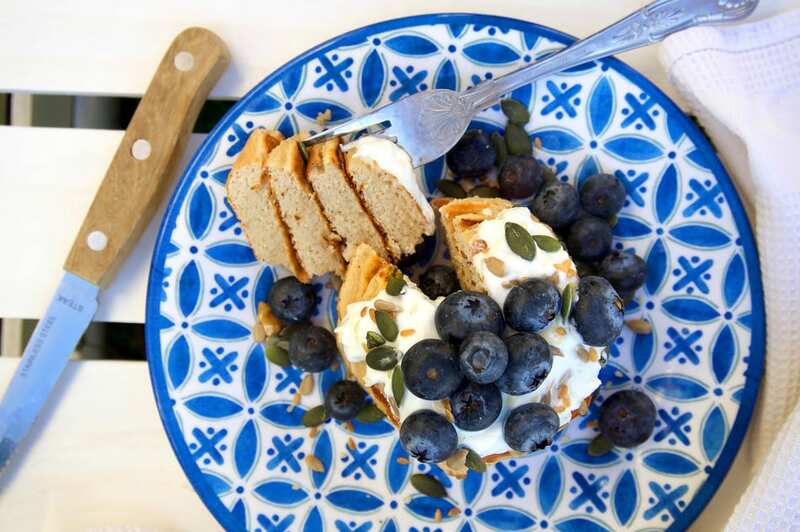 So next time you’re in the kitchen, give this a recipe a go and serve it with a tbsp of organic full fat yoghurt and a handful of fresh blueberries and seeds for a delicious and filling start to the day. Want to flip more for the family? Simply double, triple or quadruple the recipe given below! 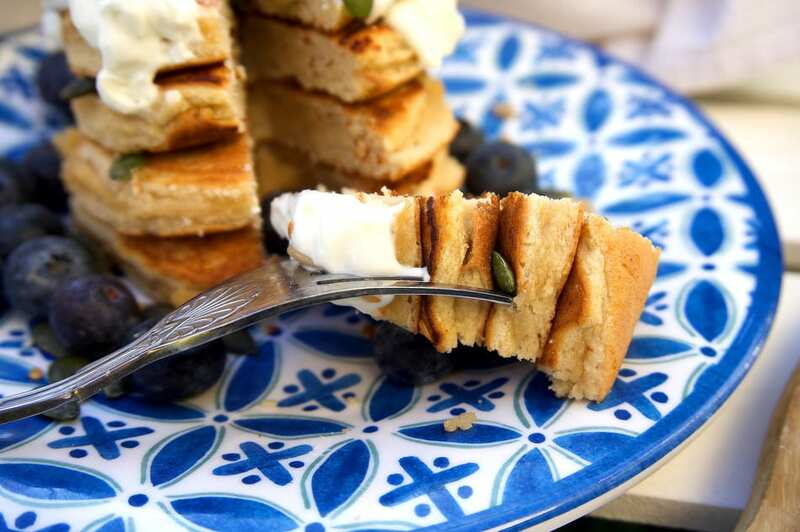 A delicious breakfast that's grain free and packed full of healthy fats. Begin by whisking your eggs in a mixing bowl until extremely fluffy and bubbly (this is important for the fluffiness of the pancakes). Next, add the flours, maca powder, coconut sugar and salt and mix everything together. One by one tablespoon, add the milk and stir in-between each spoonful. 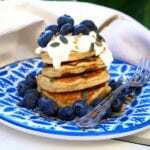 This is important because depending on the make of your coconut flour you may need less or more milk to create a pancake mixture. Once you have a pancake mixture, do a final whisk and leave for 5 minutes to set. During that time you can heat a pan with a tsp of coconut oil until the pan becomes hot. Bring your pan down to medium heat and using a tbsp, pour your pancake mixture into the pan creating small pancakes. Once bubbles appear, flip the pancakes and cook for a further 2-3 minutes. Repeat this process until all of your pancake mixture has been used up. 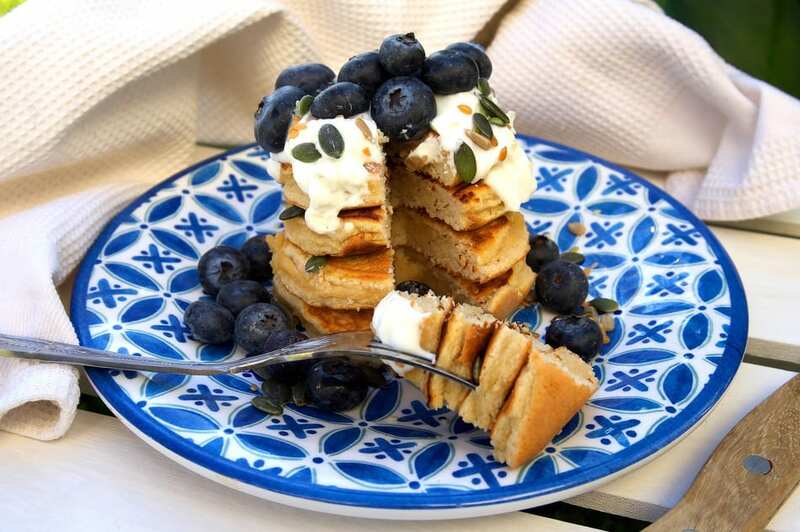 Serve your pancakes with a handful of blueberries, seeds and a tbsp of full fat organic yoghurt - if you wish!